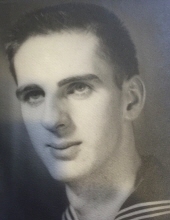 Robert Franklin “Bob” Rubin, 84, widower of Kathleen Grace (Lieske) Rubin of Fishersville, passed away Tuesday, November 13, 2018 at his residence. Mr. Rubin was born on September 9, 1934 in Baltimore, Maryland, a son of the late David and Mary Elizabeth (Blanchfield) Rubin. “Bob” was a member of the Fishersville Baptist Church, served as a Deacon and a member of the Faith Team. He was a veteran in the United States Navy, serving during the Korean Conflict on the USS Bristol, the USS Yosemite, and the USS Brownson. He retired as a Police Officer with thirty-eight years of service with the Baltimore City Police Department. Bob enjoyed bowling. In addition to his parents and wife, Mr. Rubin was preceded in death by his sister, Marion Berry. Surviving are two sons, Gregg Rubin of Fishersville and Glenn Rubin of Baltimore, Maryland; a daughter Vikki Thomas and her husband Vaughn of Waynesboro; five grandchildren; and seven great-grandchildren. A Graveside service will be conducted 2:00 p.m. Monday, November 19, 2018 at the Dulaney Valley Memorial Gardens and Mausoleum by Pastor Steven Lookabaugh at 200 East Padonia Road, Timonium, Maryland 21093 with Military Honors. A Celebration of life will be conducted 3:00 p.m. Saturday, December 1, 2018 at the Fishersville Baptist Church by Pastor Steven Lookabaugh. It is suggested that those desiring to make memorial contributions, make those to the Fishersville Baptist Church Food Bank, Post Office Box 82, Fishersville, Virginia 22939. To send flowers or a remembrance gift to the family of Robert "Bob" Franklin Rubin, please visit our Tribute Store. "Email Address" would like to share the life celebration of Robert "Bob" Franklin Rubin. Click on the "link" to go to share a favorite memory or leave a condolence message for the family.